One of her greatest abilities is to give a modern + chic twist to the traditional. Her custom needlepoint designs breathe new life into a classic. 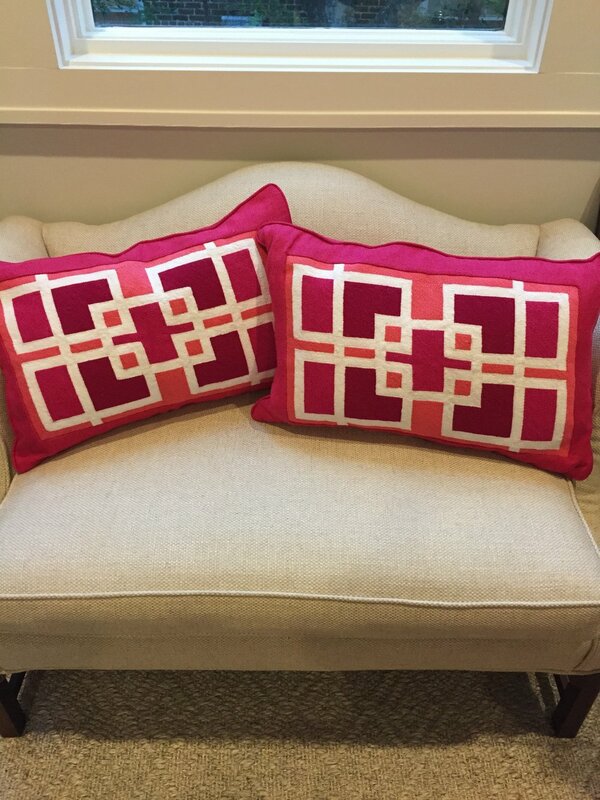 Pillows, Upholstery & Monograms... Oh, My! 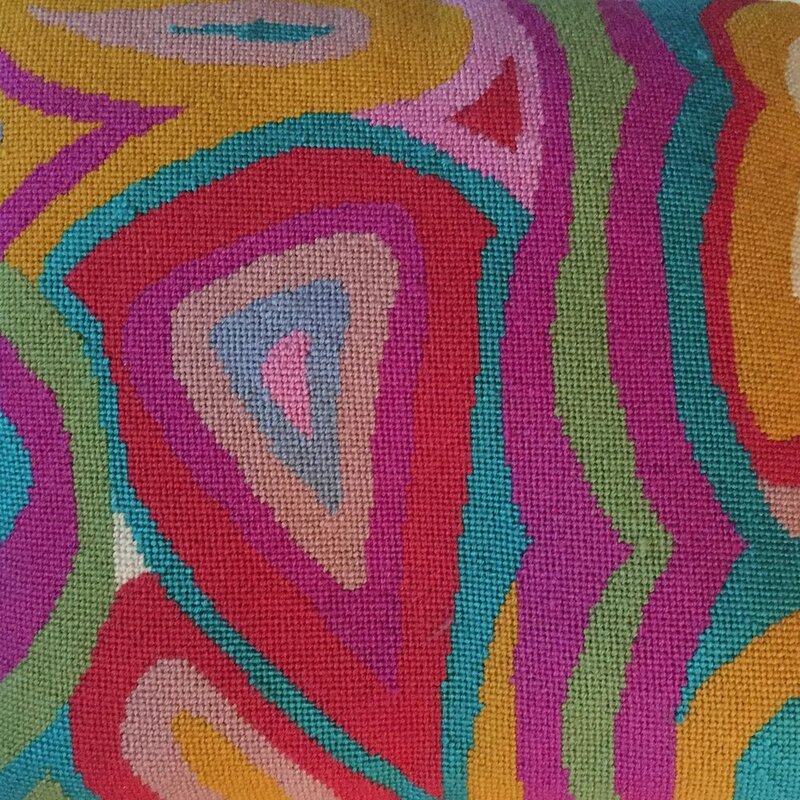 Janet's custom needlepoint chair upholstery is divine! Dining room, living room, occasional piece... she's never met a chair she couldn't take to the next level of chic! if you have a specific vision you'd like for her to execute or if you simply can't live without one of her designs that you see, dare to make a statement with needlepoint! 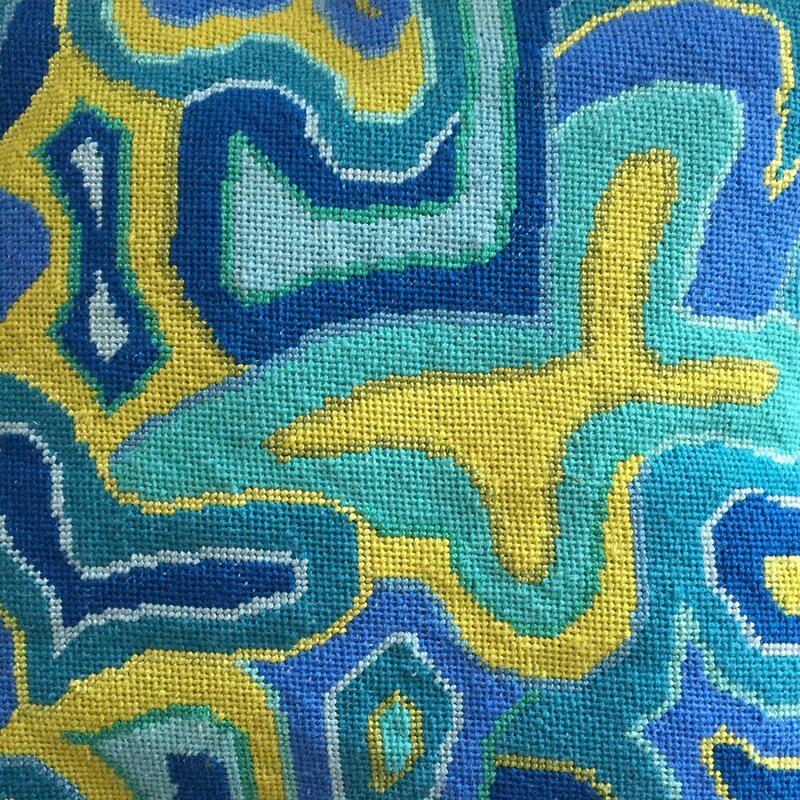 Custom, Pucci Inspired Needlepoint Pillow. 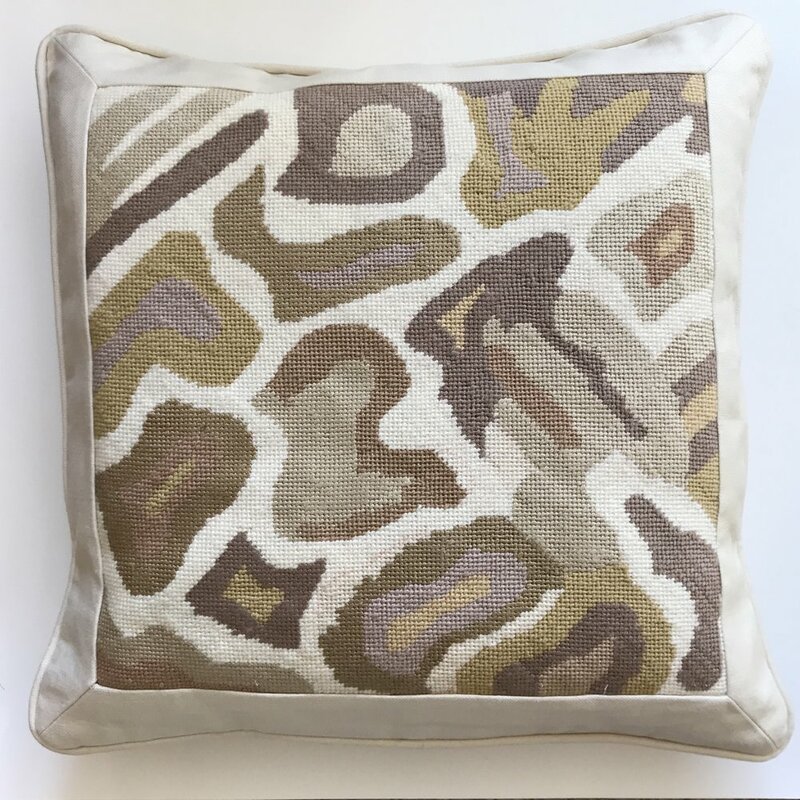 Utterly transform your room with new throw pillows! 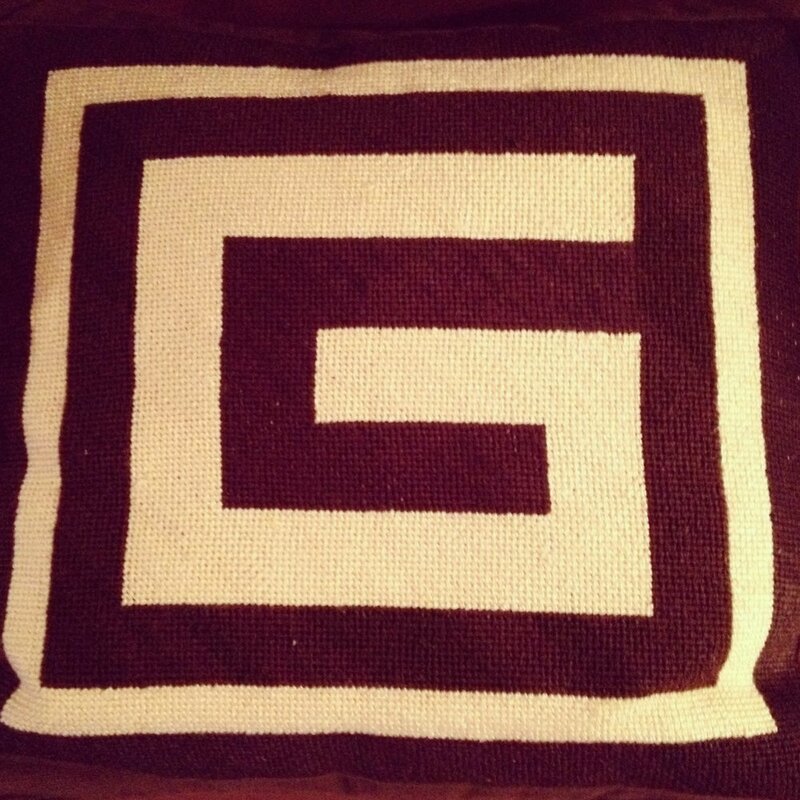 Make those pillows custom needlepoint designs from Janet Gregg's Studio and people won't stop raving! With an array of colors and designs, the possibilities are endless. We'll also just say these make FAB gifts! What girl doesn't love a sassy monogram to dress up a room?! Make it a custom monogram suddenly you have a chic update that can adorn a bed like a great necklace can your outfit! Seems only fitting to call Janet's pillows jewelry for your bed!